Dennis Fernandez | The College Funding Coach Dennis Fernandez | Paying for college without jeopardizing your retirement! 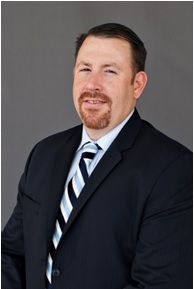 Dennis Fernandez is a Financial Services Professional with a broad knowledge in banking, marketing and real-estate. He was born and raised in Miami, Florida. Dennis’ qualifications and experience allows him to give individuals the confidence they need when making financial decisions. He believes in what he does and sees the benefits in his clients and that brings joy to him. He delivers a new level of attention, insight and capability. Dennis and his wife Zoila, along with their three children Maria, Peter and Zachary live in Miami, Florida. He spends his free time with his family and still manages to fit in some basketball, golf and football games as he once did in college. Dennis is located in our Miami, Florida office and can be reached via phone at (305)525-2111 or via e-mail at dfernandez@thecollegefundingcoach.org.